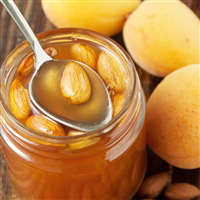 Golden honey delicately drizzled over sweet almonds. * Compare our fragrance to Honey Almond® by Bath & Body Works. "Very strong but good "
COMMENTS: A little goes along way! I mix this with buttercream and my customers love it. COMMENTS: I have used this scent in MP and CP soap and the scent stays strong in both types. I have some CP soap that I made seven months ago and it still smells good. It is a customer favorite. It is also well behaved in CP soap. • The scent is true to its name. COMMENTS: When added to any product, it smells amazing to anything product. Not over powering, just the right amount of fragrance! COMMENTS: This fragrance surprised me but a little will go a very very very long way. I think I use the least of this fragrance in the butters and oils. I tend to sell this scent more during the winter. Customers love it. COMMENTS: I love this scent and so do my customers. I use it in my body butters, bath Bombs, moisture oils and wax melts. COMMENTS: Behaves well in CP soap, no acceleration or discolor. Jy daily Go T! COMMENTS: Works great in CP soap and was a wonderful scent for lotion bars too. No acceleration or other problems in CP soap.Would keep this in my supply. Love it! "Excellent Scent but Riced Soap"
COMMENTS: This scent is absolutely beautiful, like a sweeter almond but not overly so. However, it riced my batch of soap that contained olive pomace, sweet almond oil, coconut oil. 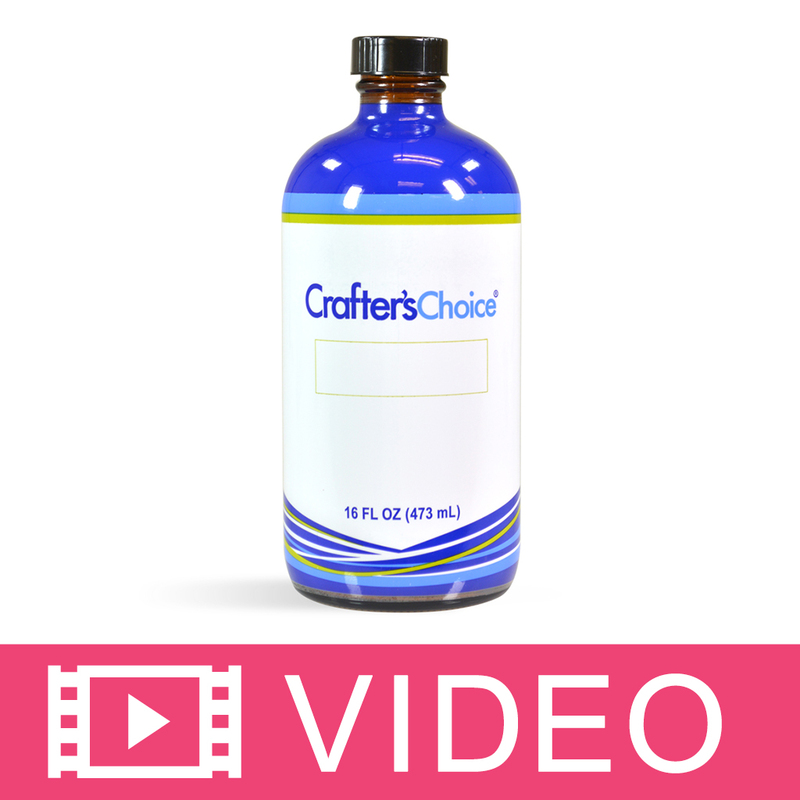 "Crafters Choice™ Honey Almond* Fragrance Oil 115 "
COMMENTS: I absolutely love this fragrance. It was nice and warm undertones. Soap easy with it. COMMENTS: This is a wonderful fragrance. It did great in CP. Did not accelerate and the scent has not faded. Everyone loves how the soap smells. 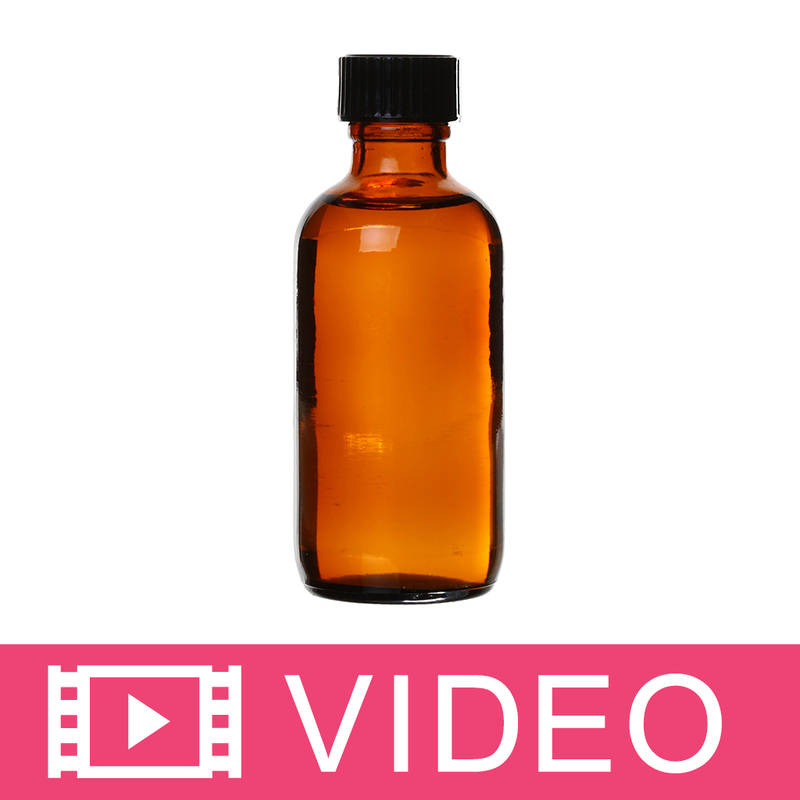 "Honey almond fragrance oil "
COMMENTS: This is one product that's sure to please. Blends well with other products. COMMENTS: I'm personally not a fan of marzipan-type scents, but everything I use this in is a huge hit in my shop and I personally think it smells very true to the description. Very good throw in soy wax. COMMENTS: Turns my cp soap a nice brown, not too dark. Holds well in my cp soap, sugar scrubs, body butters, and lotions. "Some customers loved it, not my favorite"
COMMENTS: I like this oil because a little goes a long way! It's one of the more potent scents and a small amount works well. COMMENTS: I like this scent, good for soaps, body butters, and lotions. I will be purchasing this again. "I really like this one!" COMMENTS: Strong scent out of the bottle..and retains scent after CP process...does discolor. I used room temp lye and had time to pour it into loofahs. 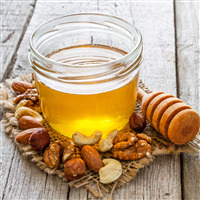 COMMENTS: I have been looking for a good honey and almond fragrance oil to use in body butter and also cold process soap.This is absolutely perfect it has a sweet honey fragrance with rich nutty almonds i absolutely love it i will be buying it again. COMMENTS: I made soap using this fragrance and one of the honey bee molds. They are really cute and smell amazing! I love this scent. Smells warm and calm. "You can't go wrong with honey almond"
COMMENTS: This rendition of honey almond was on the mark. The fragrance permeated my whole house while making my soaps. I would definitely buy this fragrance again. COMMENTS: I use this more than any other fragrance oil, especially in soaps for kids, and my Honey soaps. Always gentle and soothing, the fragrance lingers . COMMENTS: This one is so popular that I am constantly making it. Excellent Almond scent with a touch of sweet. It is kinda potent, so you have to judge whether you use it at your usual amount or if you back off a bit. "NOT EXACTLY WHAT I WANTED"
COMMENTS: If you're looking for a toasted almond scent, this is for you. I can't detect any sweet honey notes at all. COMMENTS: My coworkers all want me to make them lotion after smelling some I made with this scent! COMMENTS: This in no way smells like Honey Almond but it definitely smells like Cherry Almond. Discolored soap to a medium tan which is ok if I was making Honey Almond however, if I knew it was going to have a strong Cherry scent, I would have colored or swirled the soap with dark cherry color. COMMENTS: I love the smell of this scent. COMMENTS: This is a lovely warm, sweet almond fragrance. More almond than honey, but delicious nonetheless. COMMENTS: Warm almond scent, I don't pick up any honey scent but this is very popular with customers. "Honey Almond Fragrance Oil Review"
COMMENTS: I am not certain that I would use this fragrance oil again. It caused acceleration, even though I soaped at lower temperatures than I usually do. I found the fragrance to be more sweet, and like a toasted almond, than a honey almond. I will have to see how my customers feel about the finished product before using this particular oil again. 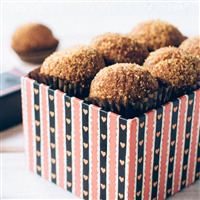 "Perfect in honey base with apricot seed powder!" COMMENTS: I used this in my honey base and mixed in some apricot seed powder. Can you say PERFECT? 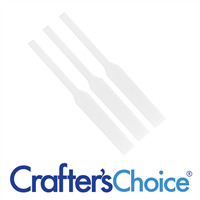 Customers LOVE this! Seriously, this smells so good. You can smell the awesome sweetness of ripe apricot blended in beautifully with the warm scent of honey. Love this scent! COMMENTS: I poured the honeybee molds for my first Spring show and sold out in the first hour! The fragrance coupled with(I poured bee in white)was such a draw. This I will order again! COMMENTS: One of my favorite scents purchased so far. Used it to make Christmas gifts this past year for family and friends. Everyone that received the soap with this fragrance loved it. Will be purchasing more. COMMENTS: This fragrance smells so good! It has a very sweet smell to it and I like that when used in my soaps it leaves the skin smelling great. Some scents I've used smell good, but wash away and are barely noticeable, this one gave me no problem. However, I did accidentally put to much in one batch and it was very strong! Over all, I will be buying this again when I run out. COMMENTS: I use this in my red clay CP soap. 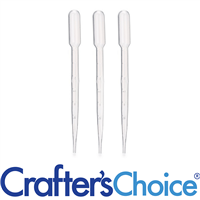 Holds up well and customers really like it! COMMENTS: My customers and I love this fragrance. It is very soft and appealing. I use it in my oatmeal face bars and they are a top seller. 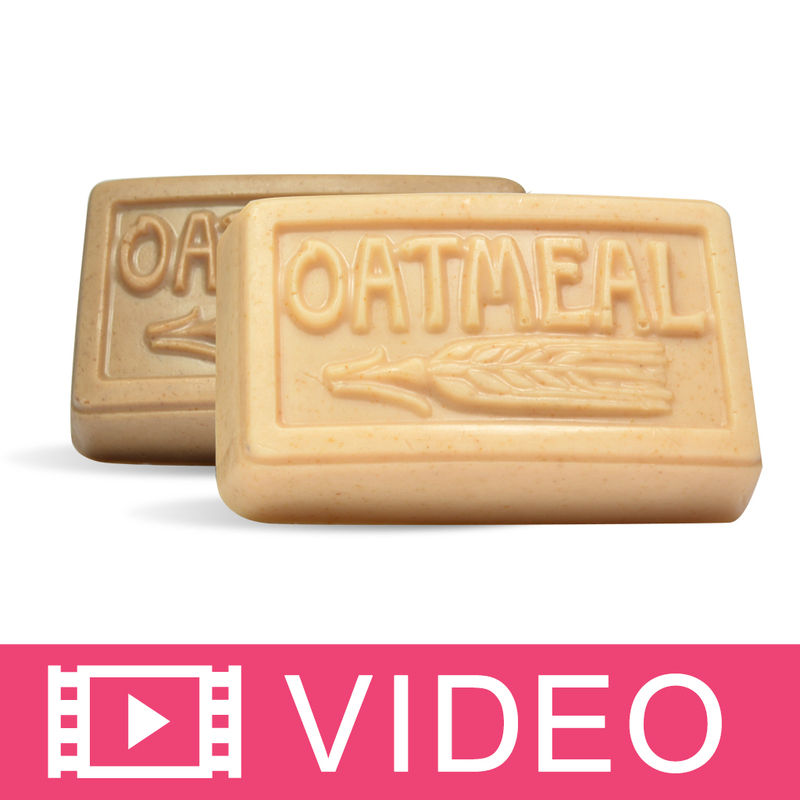 You only need a little bit to get the perfect scent combination in oatmeal soap. COMMENTS: This is a great scent that I like to mix with oatmeal, milk and honey. Scent stays strong in CP! My customers loved this scent in soap and lotion. COMMENTS: Every one loves this! COMMENTS: Use it in many applications its great in CP soap a little lite in smell. "A tried and true almond scent"
COMMENTS: I have so many repeat customers of this fragrance! It holds up great in CP soap and doesn't have the bitter or cherry smell that almond often has. Very true to the title. COMMENTS: I'm new to melt and pour soaping and when I saw this fragrance oil I thought it would smell nice. It does smell nice but in small amounts. I made 1 pound of MP soap and not knowing how much I should use, I used 2 teaspoons. WOW! the scent was so overpowering I got an instant headache. I didn't wrap my soap after it hardened and my whole house smelled like the soap. I can't even describe the scent, but it was strong. Made another batch and only used 1/2 teaspoon of fragrance and I think the scent is still strong. To me it smells like sweet almonds..I don't actually smell honey. It's not my favorite but it will add fragrance to your soap. I bought such a large bottle and don't want to waste it so I will be using it from time to time. I am getting ready to try making CP soap, maybe the fragrance will turn out better. COMMENTS: Not my favorite. Reminds me of butterscotch. COMMENTS: I love the honey almond combo in this fragrance! Good enough to eat! COMMENTS: This is a very lovely scent, I think it would be perfect in products for men. It has a bitter sweet smell, I absolutely love it! 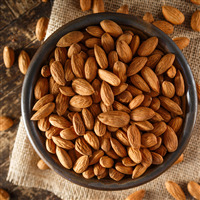 COMMENTS: I purchased from here "Almond Type" Fragrance Oil. And I Loved it!! I had finally found the true almond scent with out all the cherry added. Came back to order it again and it was gone! They must have discontinued it! So I ended up getting this one instead. I really really like this one, and will keep using it. But for my lotions I need that "Almond Type" one I previously bought. COMMENTS: THis smells very good, it is an extremely potent oil. I had to cut the recommended amount in my regular recipes. Men seemed to like this scent, when a lot of my female customers did not love it, unless they are almond scent lovers. COMMENTS: My family and customers absolutely love this scent. Subtle but strong enough to turn heads. • Keep it just the way it is!!!! COMMENTS: Not overpowering, can smell the almonds. COMMENTS: This fragrance was absolutely wonderful! It didn't smell too sweet or like food which I liked. It smelt very refreshing. COMMENTS: This a very warm and welcoming fragrance. It's one of my customers' favorites. COMMENTS: I have customers who request this scent with their sugar scrubs and they really like it. COMMENTS: This is one of my all time best selling scents and my very favorite!!! COMMENTS: This scent is nice and very strong. It's not my personal favorite but customers and friends really like it. I only needed to use a small amount to get a strong scent. It seems a little too strong at first but mellows out quite well. Especially good for candles. COMMENTS: Nice and sweet smelling. As close to Almond as I've ever found! COMMENTS: My customers love this scent in wax melts and I sell out quickly. It is warm and a great blend for candles and other wax products. I will try it in lotions next. COMMENTS: How many ways can I use this scent? 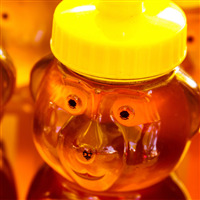 I do think the honey is the foremost fragrance. I love almond so that note is wonderful in this fragrance. These products really sell. I do use the vanilla stabilizer with this fragrance to avoid the "dreaded brown" color. Great seller. I also enjoy working with this fragrance. COMMENTS: This is one of my best sellers. I use it in my Honey/Oatmeal soap. The smell stays with the soap even after being cured out. COMMENTS: I love this fragrance, I smell more honey than almond! which is perfect for me because I am not a huge fan of almond! COMMENTS: I recently sold out of all the whipped shea body butter I made in this scent. Absolutely fabulous! "used this one for 10 years"
COMMENTS: This is the best Honey Almond on the market! I have been using this one for at least 10 years. I have switched a couple of times and came right back to it. No perfumey smell to it, it is exactly as named. My top selling CP soap of all time. COMMENTS: You cannot go wrong with this fragrance. Honey and almond are perfect complements to eachother. The almond fragrance is toned down by the honey but not overpowering. This is a great unisex scent for any time of the year. Also, this fragrance does not morph in cold process soap. What you smell is what you get. "In my TOP 10 favorite scents!" COMMENTS: This has a strong scent, so I don't use as much as I normally would when scenting my CP soaps (it goes a long way), but the scent is fabulous! When I've used it in M&P soaps, the scent lasts a long time. COMMENTS: Everyone in my family LOVED this fragrance- even my sister and Dad who are both very sensitive to scents. Definitely a keeper! COMMENTS: This is the most luscious smelling fragrance. I has been my no. 1 soap selling fragrance. Both men and women love it. COMMENTS: Most Almond scents have a cherry smell. This does not, it is great. COMMENTS: This fragrance oil worked great in Goats Milk M&P soap. I really liked the scent. COMMENTS: People smell this soap and immediately say, I want to eat this! "I have about 3oz of Honey Almond scent that turned bluish black in storage. I have it stored in a wooden case with other Crafter's Choice oils and this is the only one affected. Has this ever been an issue? " Staff Answer You did not state when you purchased this fragrance. Depending on the ingredients in a fragrance oil, they can darken over time. We do recommend fragrances be used within 1-2 years. After that, many of the notes in the scent will fade away. "I'm looking to scent my unscented liquid laundry detergent. Would this oil work for that & leave a nice scent in the clothes after they come out of the rinse? 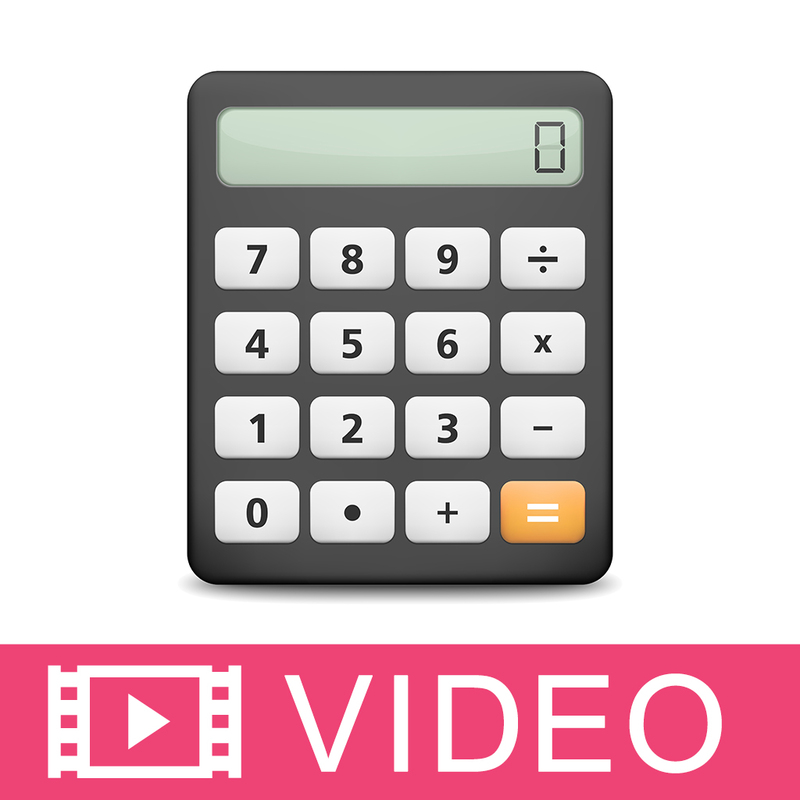 If so how much would you use ?" Staff Answer This fragrance is safe for laundry detergents up to 5%.